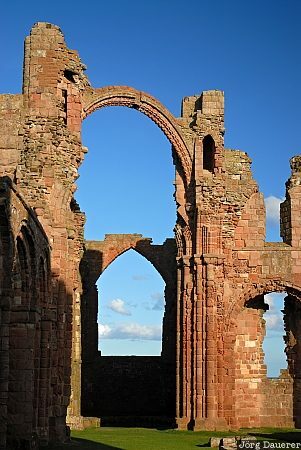 The ruin of Lindisfarne Priory on the "Holy Island" Lindisfarne, Northumberland, United Kingdom. This photo was taken in the evening of a sunny day in September of 2007. This photo is part of the exhibition Rust, Wrecks and Ruins (February 2014). This photo was taken with a digital camera.